Sheryl Swoopes (03/25/1971) was born raised in Brownfield Texas where she grew up playing basketball with her brothers and eventually for a little league team called the “Little Dribblers”. Initially recruited by University of Texas she attended South Plains College and finished her college career at Texas Tech with an NCAA Championship. She set multiple school records including “Most Points Scored in a Single Season”. She is one of only 3 “Lady Raiders” to have her jersey retired following the championship along with her teammates Carolyn Thompson and Krista Kirkland. She was awarded the Naismith Memorial Basketball Hall of Fame College Player of the Year in 1993 and was selected as the 1993 Sportswoman of the Year by the Women’s Sports Foundation. Swoopes was selected to play for Team USA basketball at the 1994 World Championships which won the bronze medal, she was also selected for the USA Basketball Team for the 1995 Pan American Games however the basketball tournament was cancelled due to only 4 teams entering. In 1995 Swoops married her high school sweetheart and remained married for 4 years where she had a child in 1997. The 1996 Olympic Games in Atlanta, Swoopes played for USA where the team excelled in the tournament by a large margin. Eventually taking the gold medal. She also played for the 2000 and 2004 Olympic Team which they won gold. Giving Swoopes 3 Olympic Gold Medals. In 1997 Swoopes was recruited by the Houston Comets for their inaugural however she only played for the last 3rd of the season due to the birth of her son. She went on to have an 11 season career with the Comet’s before signing onto the Seattle Storm. 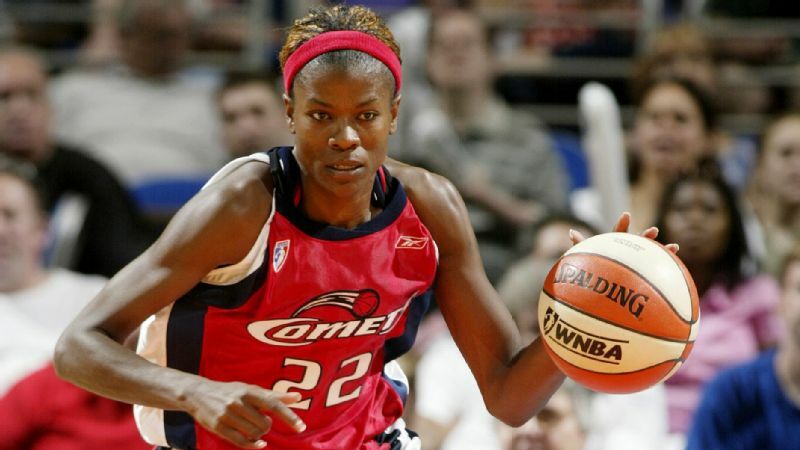 Throughout her WNBA career Swoopes has won for WNBA championships, first 3 time MVP and Defensive Player of the Year and with her success at the 1996 Olympic Games helped the bring new prominence and energy to the fledgling WNBA. She is the first female basketball player to have a Nike shoe named after her, the “Air Swoopes”. In 2005 Swoopes announced she was a lesbian, becoming one the most high profile professional athletes at the time to do so. She maintained a relationship with her former teammate and Comet’s Assistant Coach Alisa Scott, together they raised Swoopes’ son. In 2011 the two ended their relationship and later the following year Swoopes announced her engagement to a longtime male friend, Chris Unclesho. Many people have criticized and have been confused with Swoopes for making such a public spectacle of her coming out as lesbian only to marry a man and has not made any major public announcement regarding her sexual orientation as a result. She continues to be a role model for young basketball players and people struggling with their sexuality. Swoopes, now retired from professional basketball continues to work as a coach.